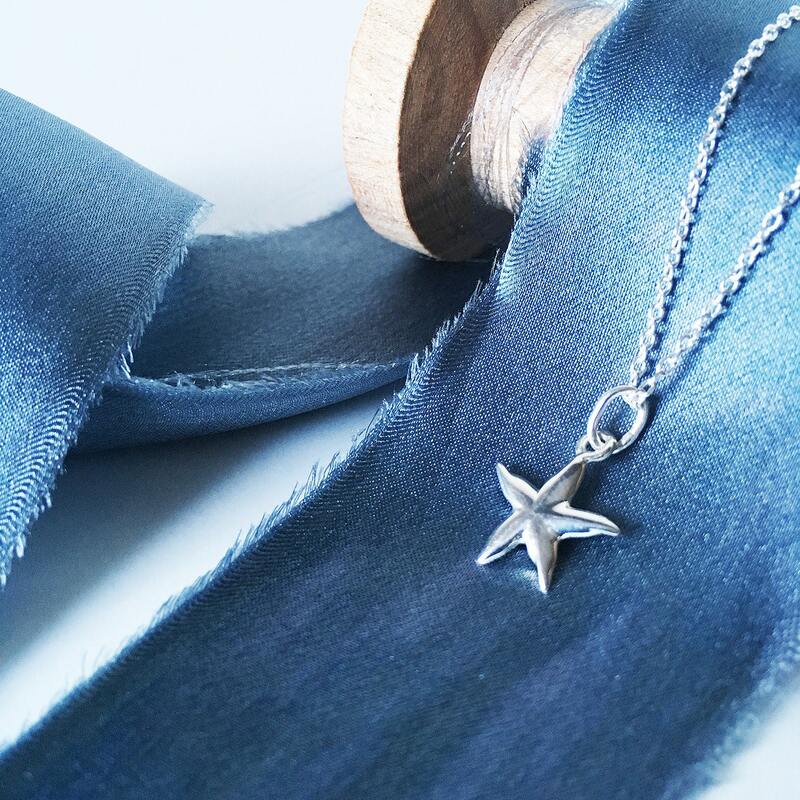 For stargazers and dreamers, lovers of moonlit skies and romantic starlit evenings - a beautiful star necklace to wear every day - because the things we love should be close to our hearts, always. 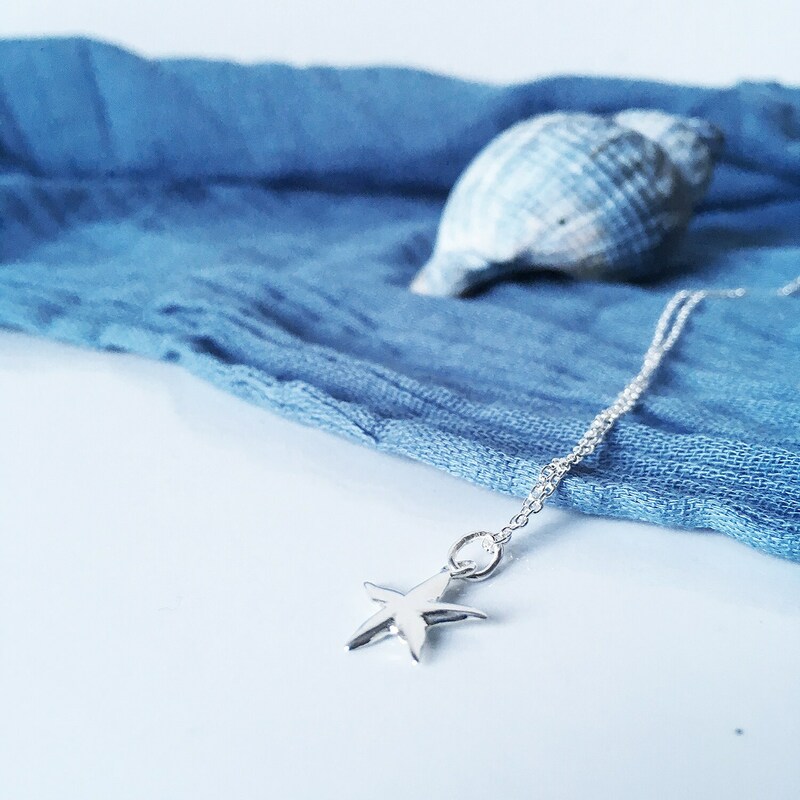 The necklace is an 18" sterling silver cable chain, wonderfully delicate and pretty. 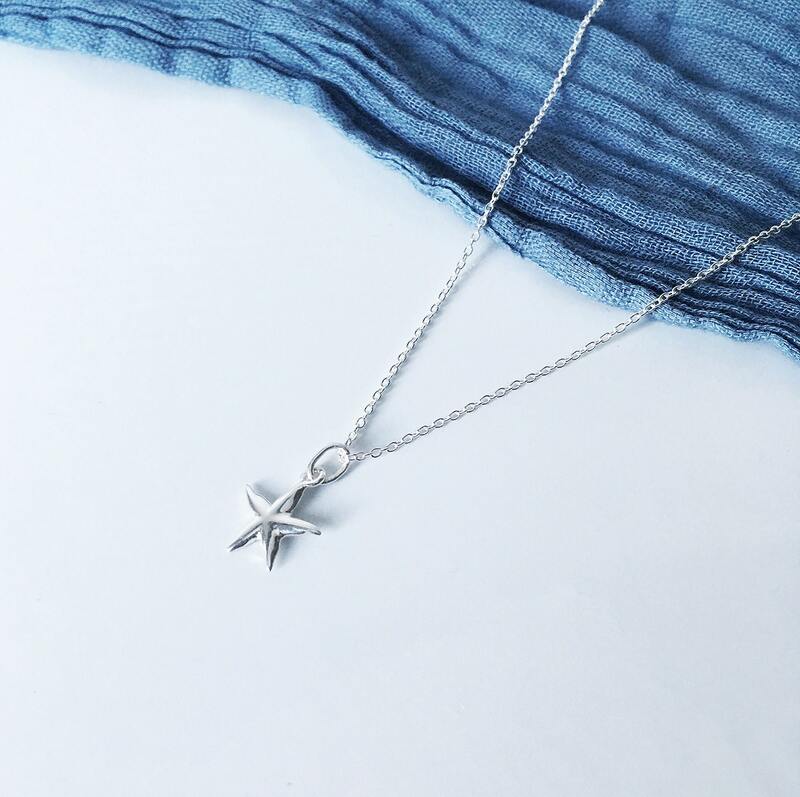 The silver star charm is 13mm long with a gentle curve to the five points of the star. This necklace can be worn with anything - it's elegant and sophisticated, perfect for every day or wearing for a special occasion. 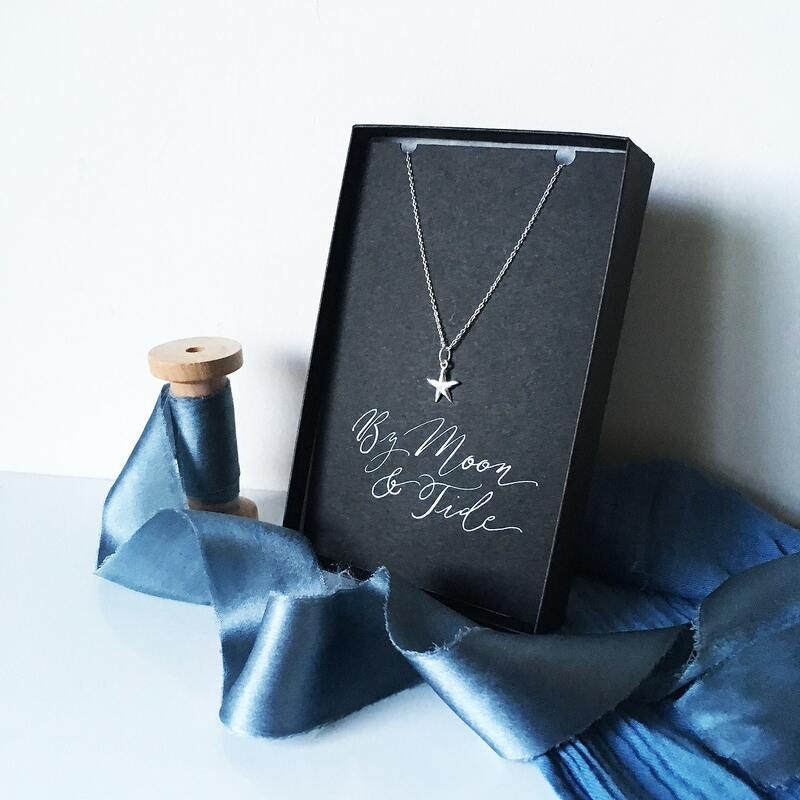 Every necklace comes in a beautifully hand finished By Moon & Tide gift box as shown. 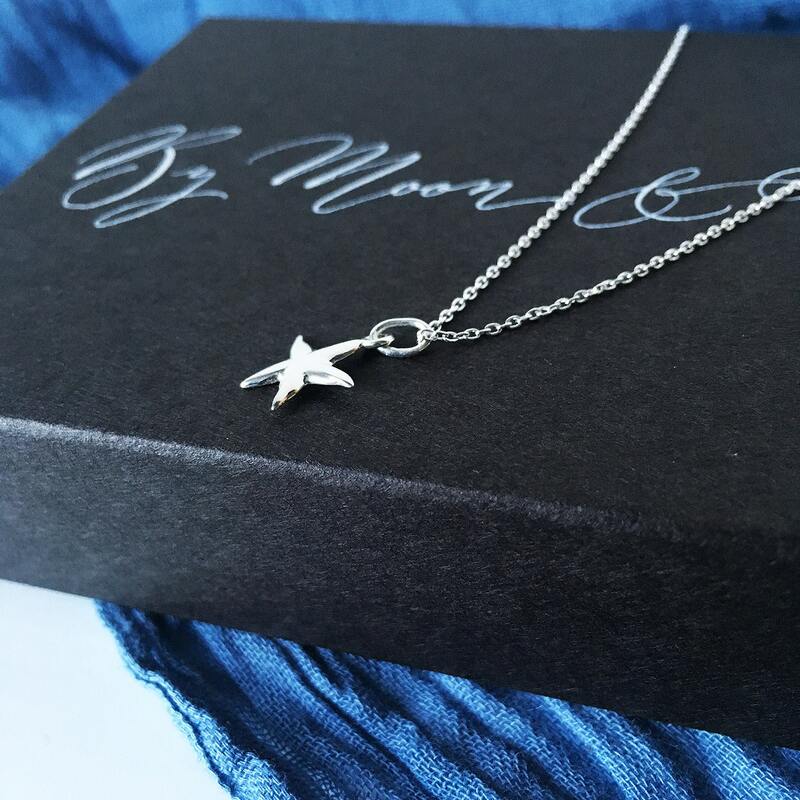 The box is the loveliest personal touch if you're giving the necklace as a gift. We can even personalise the box for you by adding the recipient's name in calligraphy - please use the options above to choose personalisation, and use the 'notes to seller' to give us the name you'd like on your box!